The Negrito people were the original inhabitants of the Philippines. Until recently, they have maintained their own cultures and languages, distinct from the majority cultures of the Philippines. The Casiguran Agtas are one of the smallest groups of these Philippine Negrito minorities. Because they lived on the east side of the Sierra Madre mountain range on Luzon Island, they were extremely isolated until just recently. There was basically no road into the area until the late 1980s and even then, there were very seldom any vehicles able to make the long winding trek over the mountains. Now, however, there is constant traffic, and the result is that the Agta culture has been brought face to face with the outside world in an incredibly short period of time. Think of the impact of bringing hunter-gatherers from near-prehistoric conditions to a world of television, cell phones and the internet, all in a matter of years. We feel compelled, therefore to help the Agtas adjust, by providing them education so that they can cope, and then thrive in the pressures pushing in on them. 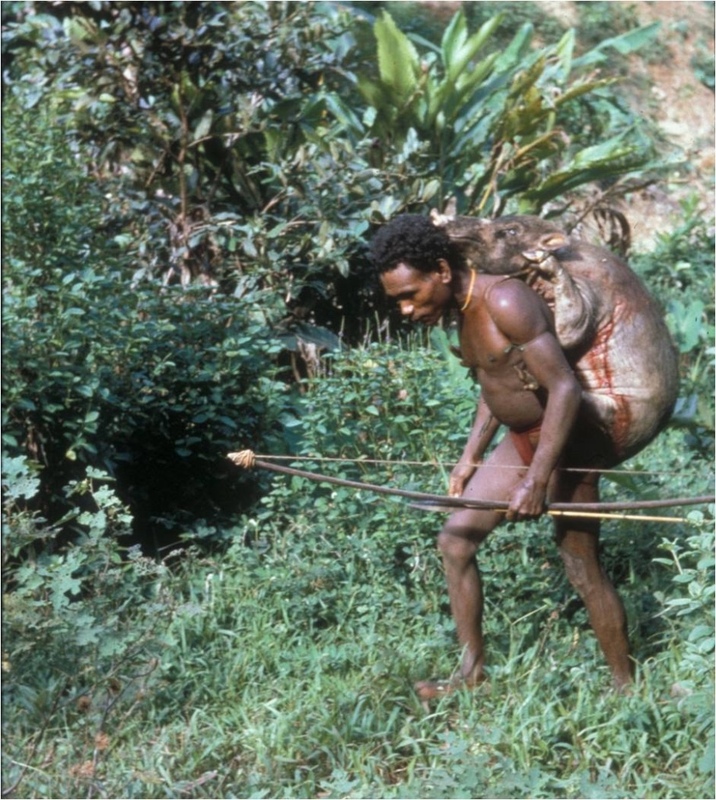 Before the encroachment of the modern world, the Agtas were hunter and gatherers. They ate wild boar, monkey and deer... and sometimes even python meat. My uncle Kekek (the man in the middle, standing next to my sister, Rachel) shot this snake in 1970. It was almost 23 feet long... and we all ate python meat for days. His granddaughter, is now one of our students, and the story of this snake is still remembered. Sometimes monkeys were pets and sometimes they were dinner... this one wasn't a pet.... Bonding and Marning were two of my childhood friends. Bonding died when we were about 8 and Marning was murdered when we were teenagers. This is called "Piggy back". Uncle Eliden was one of the first Agta followers of Jesus. He worked for years helping my dad translate the Bible into the Agta language.